Diagrams and flowcharts make the complex comprehensible. 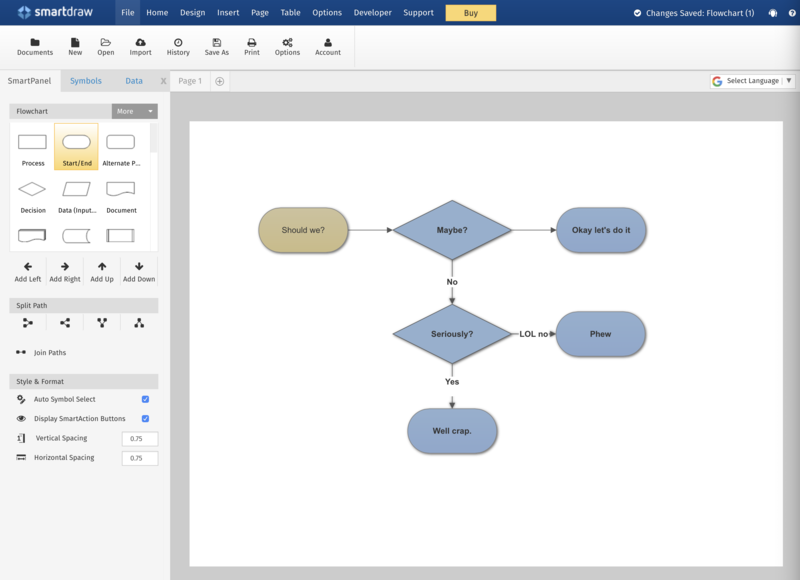 Flowcharts turn long workflows into easy to follow instructions; other diagrams allow you to get ideas across quickly and visually, such as when you need to create a floor plan or network diagram. Actually making flowcharts and diagrams is less easy, however, especially if you don't have the right tools. You can kind of twist word processors, image editors, or presentation software into a makeshift flowchart and diagramming app. You can also use a hammer to drive in screws–but the result won't be pretty. Sometimes it's worth investing in the best tool for the job, instead of improvising with what's on hand. In this case, that means dedicated software. What Makes Great Flowchart and Diagramming Software? 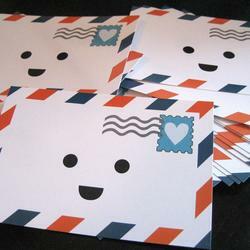 A variety of shapes to work with, including the standard options, such as ovals, arrows, rectangles, and diamonds. The best applications also make it easy for you to add your own shapes and graphics. Templates for making all manner of diagrams in less time than starting from scratch. Tools to help you arrange things in a way that's clear and logical, such as grids and auto-snapping shapes. Exporting your diagrams to a range of image formats, including vector files that can be easily scaled for printing on large posters. Clean user interfaces that make the program easy and pleasant to use. Here are the best applications we found after researching and testing flowchart tools for over two weeks. 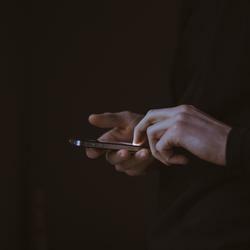 Learn more about how we select apps to feature. 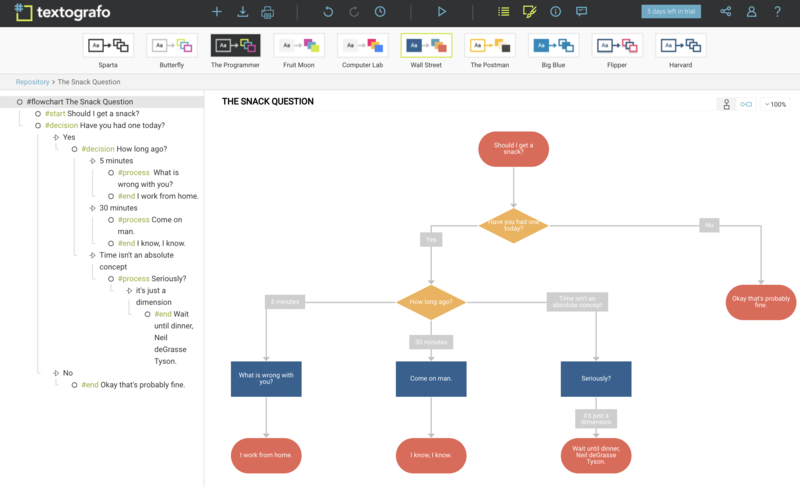 Lucidchart is among the best-known online flowchart and diagramming tools on the web right now, and it's not hard to see why. 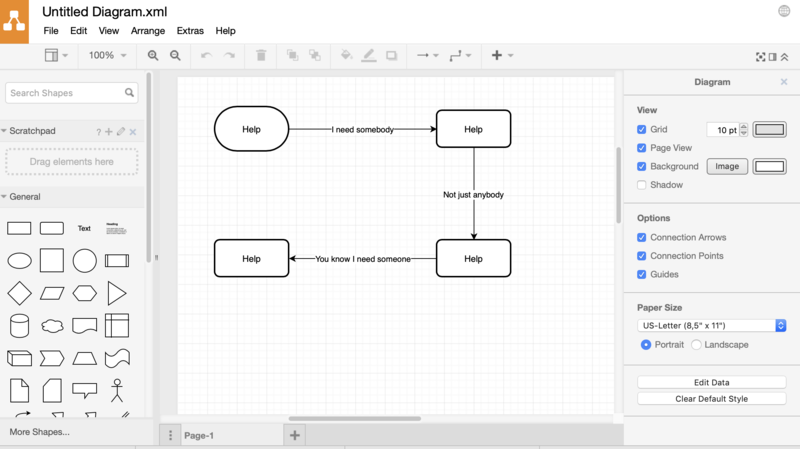 Sign up for a free trial and you'll be creating your first flowchart or diagram right away. The web-based interface offers a wide range of templates for flowcharts, software mockups, and more, and there's a wide range of shapes available. The user interface sports a traditional File/Edit/View menu bar, which is easy to navigate and discover relevant features. Adding and arranging items is intuitive, and the process for making a flowchart is straightforward. This flexible web app can also import files from most competitors including Microsoft Visio, OmniGraffle, Gliffy, and Draw.io–a wider range of import options than any software we tested. Lucidchart can also export to PDF, image files, SVG vectors, and is also the only web-based application we found that can export to Microsoft Visio. This is a lot of flexibility, meaning it can fit nicely into your existing workflow. Lucidchart also offers real-time online collaboration. This means that, similar to Google Docs, you can see edits your co-workers are making in real-time. This is unique among the applications we’ve reviewed. Visio’s collaboration isn’t entirely realtime, and Draw.io only offers limited realtime collaboration, and even then only for documents shared in Google Drive. LucidChart’s online collaboration is seamless. LucidChart’s free trial allows you to create and save up to three (limited) documents. Unlike other trials Lucidchart's does not expire, meaning it might be enough if your diagramming needs are only occasional. For this reason alone Lucidchart might be worth checking out first. Lucidchart Price: starting at $4.95 per user, with a free version. Microsoft has been working on Visio for a quarter century, and it shows: the Windows version of this application is polished. 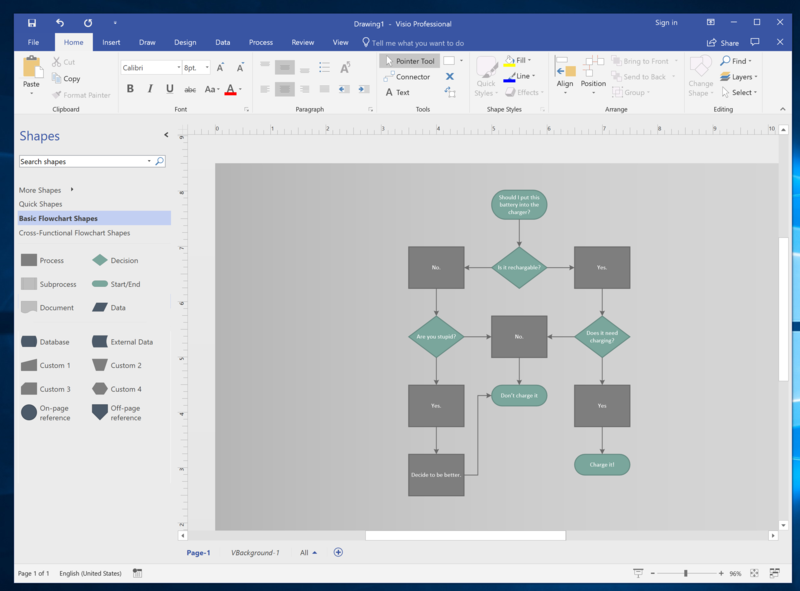 It doesn't matter whether you're hoping to make a flowchart, an engineering diagram, a floorplan, or a software mockup–Visio offers appropriate templates and shapes, more than any other option we looked at. The familiar Microsoft Office interface makes it easy to discover functionality, meaning you'll be creating something in no time. Creating a flowchart is fast and intuitive, as is creating other sorts of diagrams. And there's a wide variety of export options, including image formats and SVG vectors. But the real standout feature, at least for me, is the automatic sorting for flowcharts. 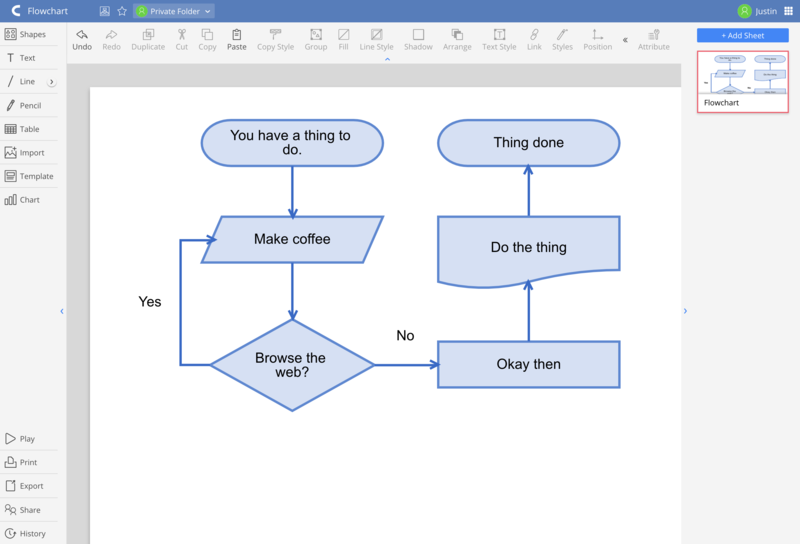 I made a complicated mess of a flowchart and then asked Visio to organize things better. It worked perfectly. None of the other programs I tried could manage this. The main downside here, and it's notable, is the price. 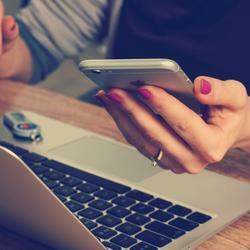 The one-time desktop software costs two to nearly five times as much as competing software on this list. There are two subscription services, but only the most expensive offers access to the Windows version of Visio; the cheaper one provides only access to the web-based version. 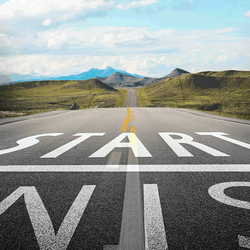 Is Visio worth it? Possibly, especially if you create complicated diagrams, and there's a (needlessly complicated to set up) 14-day trial if you're curious. Microsoft Visio Price: A one-time purchase of Visio for Windows is $250 for Standard or $480 for Professional; Professional offers features including additional shapes and data visualization features. $15 per user per month for a subscription to the Windows version (on top of any other Office plan); $5 per user per month for Visio Online. 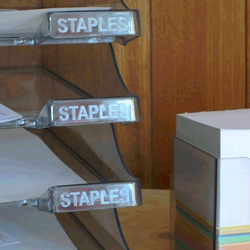 Most flowchart tools force you to move a lot of boxes around. Not textografo. This unique tool is pretty much entirely text-based, meaning you can make a flowchart without moving your fingers away from the keyboard. You'll need to learn some basic syntax: hashtags specify shapes, indents specify nesting. Type in the left panel and your flowchart will show up in the right main workspace, as if you were using a Markdown editor. It's the fastest way to create a flowchart–once you learn the syntax, that is. This app isn't for everyone. 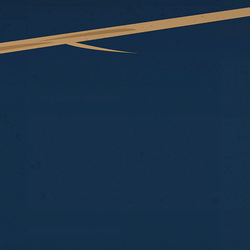 You literally can't drag your items to move them: try it and you'll be told "Nope!" Everything has to be done in the text editor. This means textografo can't work as a general diagramming tool: it's limited to flowcharts, decision trees, sitemaps, and other things that boil down to text boxes connected by arrows. 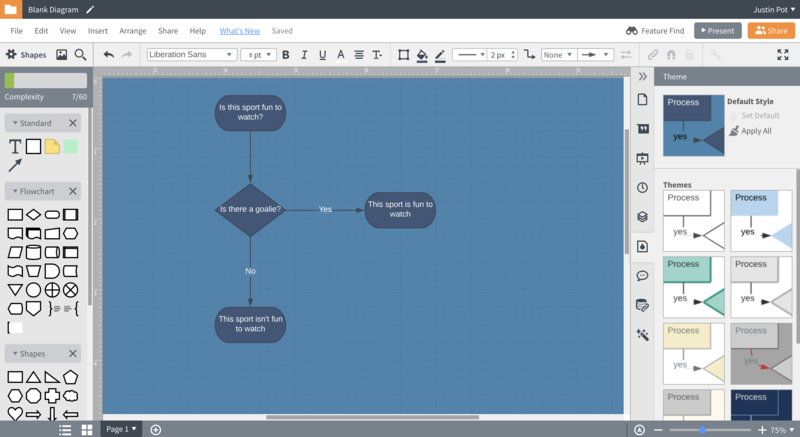 But if you want a quick way to make flowcharts, without any futzing around with your mouse, textografo is for you. textografo Pricing: Plans start at $8 a month. Draw.io sets itself apart by price: it's free for personal use, and you don't even need to create an account to get started. But that's not the only reason it's worth checking out. 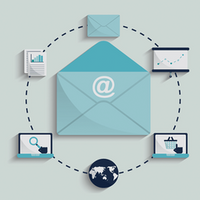 The user interface, which closely resembles that of Google's online office applications, is easy to learn. There is also an optional a dark theme, which some people might appreciate. Arranging objects is simple thanks to a clearly defined grid, although the automatic arrangement options aren't as robust as we'd like. Files can be stored locally on your computer or using cloud services like OneDrive and Google Drive. You can also import files from Visio, Gliffy, and Lucidchart, or export to just about every format you can imagine, including vector files. One unique feature, at least among online flowchart apps: File.io offers an offline version for Windows, macOS, Linux, and even Chromebooks. 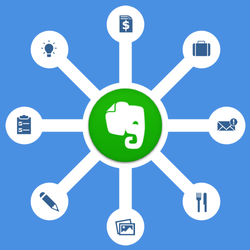 This means you can edit your flowcharts without an internet connection, assuming you've saved them to your device instead of the cloud. One downside: the number of shapes and templates offered is small, even though the basics are well covered. Draw.io also might feel clunky at first, though we got used to it over the course of a few hours. Overall this is a very flexible piece of software that doesn't take a lot of time to learn. It's well worth checking out, even if you only occasionally need to diagram something. OmniGraffle is the diagramming application that feels most at home on Apple devices. The interface is laid out just how Mac and iPad users expect, which is something no web application can deliver. Being native means OmniGraffle also works offline. 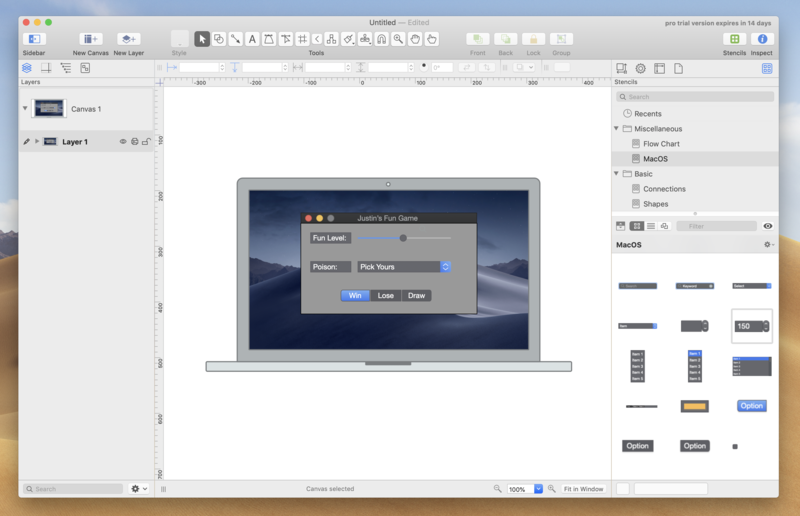 This is a flexible tool with a focus on creating mockups for software and websites. There aren't too many shapes and templates included by default but you can download more–and there's a surprising number of options. I was able to mock up a macOS application pretty quickly, for example, and there are also bundles that make it possible to mock up things like a landscaping project or an electrical diagram. The process for building a flowchart isn't automated but there are instructions you can follow. If you're strictly looking to make flowcharts I'd probably look elsewhere, but if you need a range of diagramming tools and prefer a native Apple interface, OmniGraffle is worth checking out. OmniGraffle Price: The software starts at $99.99, and there's a 14-day trial you can use for the macOS version. SmartDraw is versatile. There are templates for everything from flowcharts to software design, from landscaping to wireframes. There's even a surprisingly large collection of maps you can use, from Canadian provinces to European countries. It's one of the more complete collections of templates we found. Files can be saved to SmartDraw or third-party solutions including Google Drive, Dropbox, OneDrive, and Box. Diagrams can also be exported to Visio, image forms, or an SVG vector, meaning you can use these charts just about anywhere. The downside here is the user interface: it's just a little bit clunky when compared to Lucidchart or Visio. You'll figure out how to do everything eventually, sure, but we wish this was just a little more polished. There's a seven-day free trial, however, so you try this out for yourself before deciding to subscribe. Gliffy Diagram, another web-based option, is really easy to learn. Choose from a template, start dragging shapes from the left panel, and you'll quickly have a flowchart, Venn diagram, or pretty much anything else you can think of. There are a variety of shapes and icons to choose from, and adding your own is as simple as dragging from your computer. 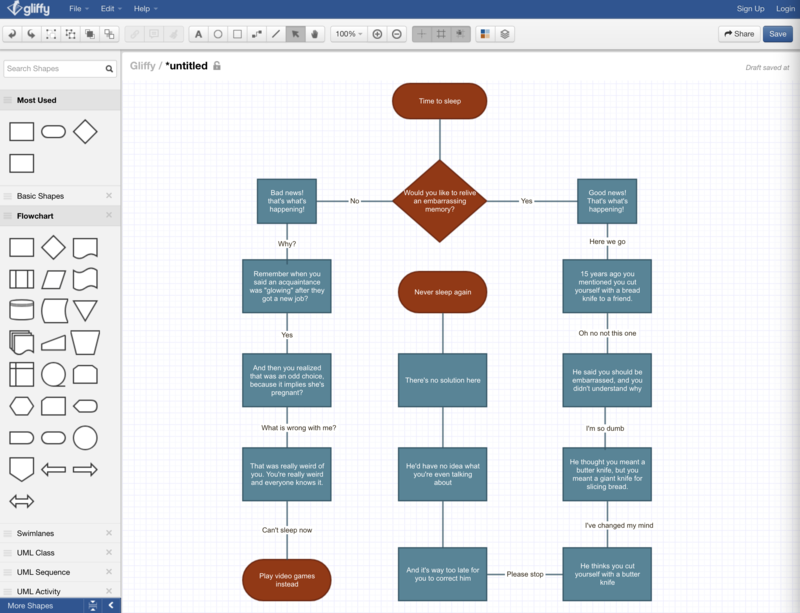 The built-in grid makes it easy to keep things tidy, and building a flowchart was quick in our tests. Export options include images and SVG vectors, and it's possible to import Visio files. Perhaps the standout feature here are versions that integrate with bug management software Jira and Confluence, allowing users to quickly make diagrams using information from those services. This is great if you use those services, but if you don't the Gliffy homepage is a little confusing. Just know that Gliffy Diagram, found here, is the standalone service for making diagrams, while Gliffy Project is the one that integrates tickets with visual plans. Cacoo is another solid option, albeit one that doesn't really stand out. It sports a simple user interface and a wide range of templates. The standard flowchart shapes aren't offered by default but there are templates you can use as a starting point. 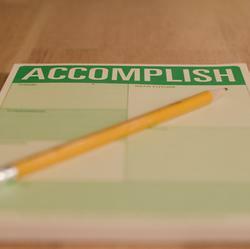 There are also templates for mind maps, Venn diagrams, and even calendars, which gives Cacoo some versatility. There's also a simple chart function, which lets you quickly enter or paste data to make simple bar, pie, and trend charts. You can then integrate these charts in the rest of your diagram. You could easily create such charts using Excel and then add them to your diagram, sure, but it's nice for everything to have the same visual style, so this tool can come in handy. Cacoo exports to image, vector, and even PowerPoint files. There's also support for importing from Visio. Cacoo Price: Cacoo costs $15 a month, but there's a 14-day trial if you're curious.